The ceiling is an essential and integral part of a building and no building is complete without it. There are different types of ceilings available and you need to make sure that you choose the right one for the building. The ceiling you choose plays a huge role in determining the look, feel and energy efficiency of the property. The suspended ceiling a popular choice nowadays but if you are going to choose it for the building then you should know everything about it. Here are a few reasons that investing in the suspended ceiling is a great idea. More people are looking for suspended ceiling suppliers because these ceilings are easy to install. You do not have to do an elaborate renovation to install the suspended ceiling. It will lower the cost of the ceiling installation. People often worry that the suspended or dropped ceiling is not durable or sturdy but that is not true. When it is installed properly with the right suspension wires it will be as sturdy as any other ceiling. Sometimes it can be hard to find the ceiling design or style that goes well with the décor of the building. The ceiling that is easy to customize is a perfect choice because it will make sure that you get the ceiling that you want. When you have suspended ceiling you can customize it easily by simply switching out the tiles. These ceilings are perfect for giving modern look and feel to the building. The customizable ceiling makes it easy to upgrade it when needed. Repairing the suspending ceiling is easy and affordable. If there is any damage then you just have to remove the damaged tile and replace it with a new one. The cost of repairing the traditional ceiling can be too much and it will also take more time. With a suspended ceiling, you do not have worry much about the cost or the time of the repair. The suspended ceiling is an excellent investment because it helps in creating an aesthetic display. The building has ductwork, pipes, wires, etc. and if they are just hanging on the wall then it will have a negative impact on the look of the building. The suspended ceiling will keep everything out of sight. The ceiling keeps the pipes and ductwork out of sight but still offers easy access to them so that the repairs can be done without a problem. The suspended ceiling has panels and you can easily remove one to access the area that requires repairs. If you want the building to be free of external sounds so that you have a peaceful place then you should go for the suspended ceiling. It has excellent acoustic properties as it can absorb the sound and keep the place quiet. It does not allow the sound to bounce off the ceiling and is effective in creating a peaceful environment. 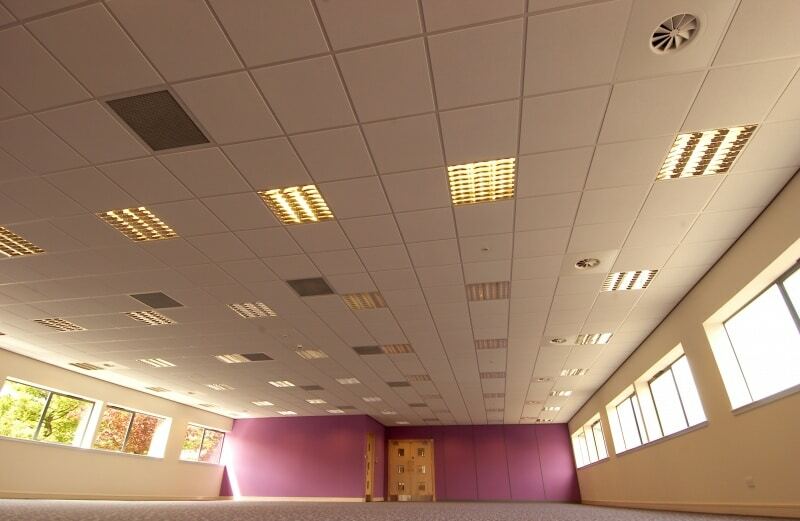 The suspended ceiling is a convenient, affordable and beneficial addition to a building.